Since the 360 launched in 2005, developers have had to work within a set of guidelines set down by Microsoft. One of those stipulated that games had to be running at a resolution of 1280x720 (720p). Not any more! Black Rock Studio's (ATV, Split/Second) David Jefferies has, in his regular column on industry site Develop, revealed that Microsoft recently dropped the requirement, meaning games can - if they want/need to - be released in lower, standard definition resolutions. Of course, some games on the 360 have already been released in sub-HD resolutions. 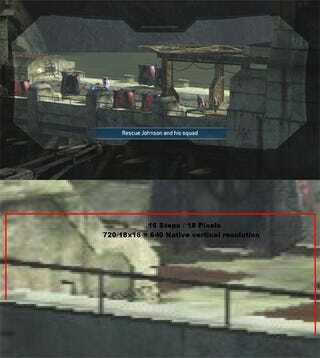 Halo 3, for example, which Jeffereis says was thanks to Bungie, "who got it waived". Wonder how much this decision has to do with recent findings revealing that less than half of Gears of Wars 2's player base owns a high definition television?